The President of the Beaumont and Sour Lake Construction Company (G.W. Meeker) is the probably namesake. When the Beaumont, Sour Lake and Western Railroad connected Beaumont with Sour Lake around 1904 the town of Meeker appeared. 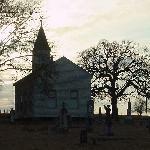 Proximity to Beaumont spared the community growing pains and it has remained quietly keeping its distance every since. 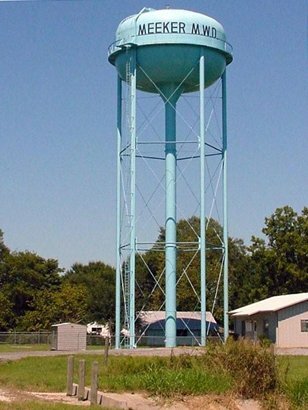 The most obvious sign that it’s a separate community and not a subdivision is the blue water tower.